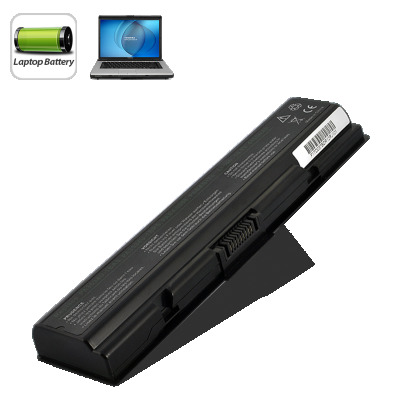 Successfully Added Laptop Replacement Battery for Toshiba Satellite A200 Series to your Shopping Cart. Replacement battery for popular Toshiba laptop models including Satellite Series A200, A300, L200, A500, and M200. Replace your old malfunctioning battery, or use this replacement for some extra hours of battery juice while you are on the road, or out camping. This product is in stock for immediate shipment and is brought to you by the leader in wholesale electronics, Chinavasion. "Toshiba" is trademark of Toshiba Corporation. This is not claimed to be an authorized or branded product by Toshiba Corporation., although it is compatible. This product and our company are not affiliated with Toshiba Corporation. or endorsed by them in any way.